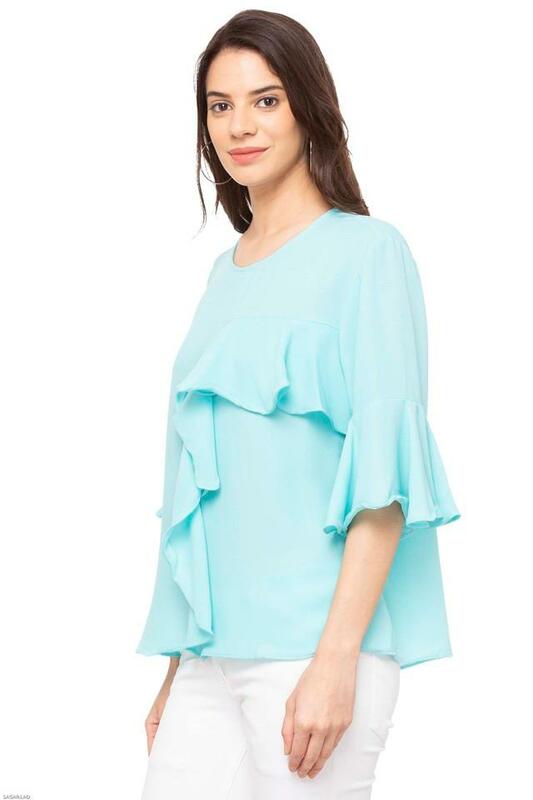 Designed to reflect the personality, so groove in the style by donning this top from the house of Nush. It comes in a solid pattern that lends it a distinct look while the trumpet sleeves with keyhole back further accentuate its overall design. 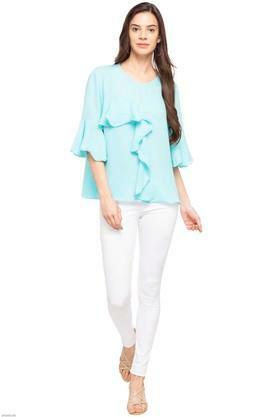 Besides, it is made of premium quality fabric that ensures all day comfort. 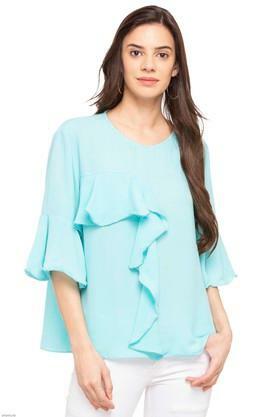 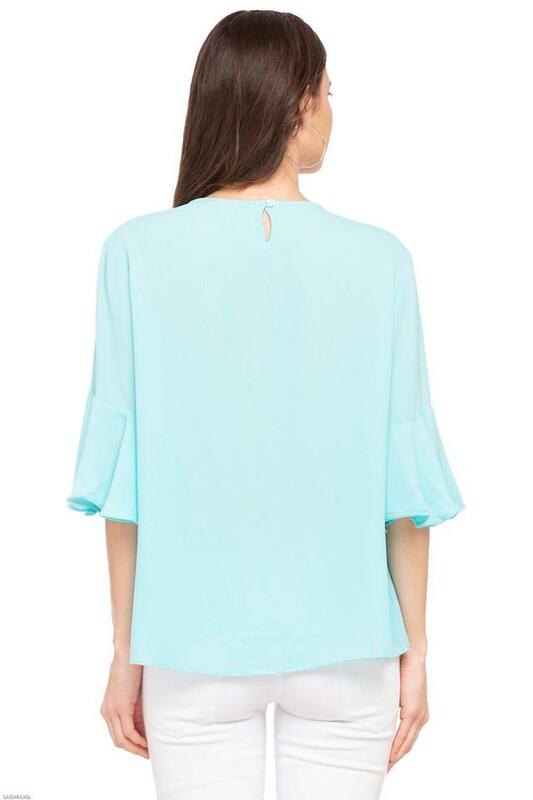 Clad in this top, you will either look fashionable or set a new trend. Match it with a pair of ballerinas to look complete for any casual occasion.